Google has added support for 30 more languages to its voice recognition software. This means another 1 billion people can now talk rather than type when they interact with Google. English speakers shouldn’t feel left out though, as they can now say the names of their favorite emoji. As we head ever onwards into the future, old science fiction is becoming our new reality. Some of the technology used in old episodes of Star Trek, for example, resembles tech we now use on a daily basis How Star Trek Predicted the Future We Now Live In How Star Trek Predicted the Future We Now Live In Faster-than-light travel may be a long way off, but Star Trek still successfully predicted the future we now live in. Read More . Voice recognition software is one such sci-fi trope, and it’s improving all the time. Google is bringing voice typing to 30 new languages and locales. These new languages are supported on Gboard (on Android and on iOS), Voice Search, and more. With the addition of these languages Google’s voice recognition software can now understand 119 language variants in total. The new languages Google is supporting include Armenian, Bengali, Georgian, Gujarati, Khmer, Latvian, Sinhala, Tamil, and Urdu. In an effort to make the internet more inclusive Google has also included support for Swahili and Amharic, two of the most-spoken languages in Africa. Google has already added these new languages to its Cloud Speech API, which means they’ll soon be available across a range of other Google apps and services. In the meantime, to access them you’ll have to install Gboard on Android, and choose your language using the Settings wheel. To appease English speakers Google has turned emoji into its own language of sorts. So Gboard users in the U.S. can now just say the name of their favorite emoji and it will appear on screen. To try this out for yourself just say “winky face emoji” or “smiling poop emoji”. If you’re 12. 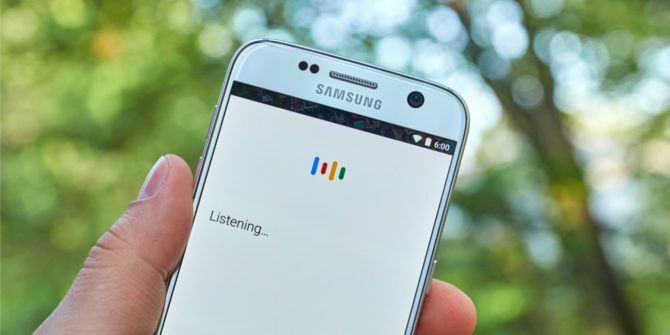 Google is always likely to operate an English-first strategy when it comes to voice recognition, because English is the language of the internet. However, adding support for more languages should help bring more people into the digital realm Is Internet Culture Different In Other Countries? Is Internet Culture Different In Other Countries? A lot of what is being studied are interactions between the world wide web and people living in North America, which seems to be diluting the definition of what Internet Culture really means. Read More . The future is well and truly here. Do you ever dictate messages using Gboard? Or search using your voice rather than your hands? Do you find it speeds up the process? Or are you just too lazy to type? Do you speak one of the languages Google now supports? Please let us know in the comments below!